6 Shows That Define TV Horror | Nerd Much? Halloween is fast approaching and the nerdy among us are already plotting out our horror movie watch lists. It’s a fun tradition but not nearly as many of us plot out similar TV marathons. That’s because, despite plenty of evidence of television surpassing film in several ways, horror doesn’t have such a large presence on the tube. Or at least not as strong of one. But even if the medium not being the go-to for spine-tingling tales, there are still a good handful of shows that are icons at bringing terror to television. The following six shows, in no particular order, are pillars of horror TV and should certainly be checked out this season to see where we’ve come from and where we may be going. Alfred Hitchcock Presents may be the earliest popular foray into TV terror but I know very few who would put it above The Twilight Zone in terms of impact. 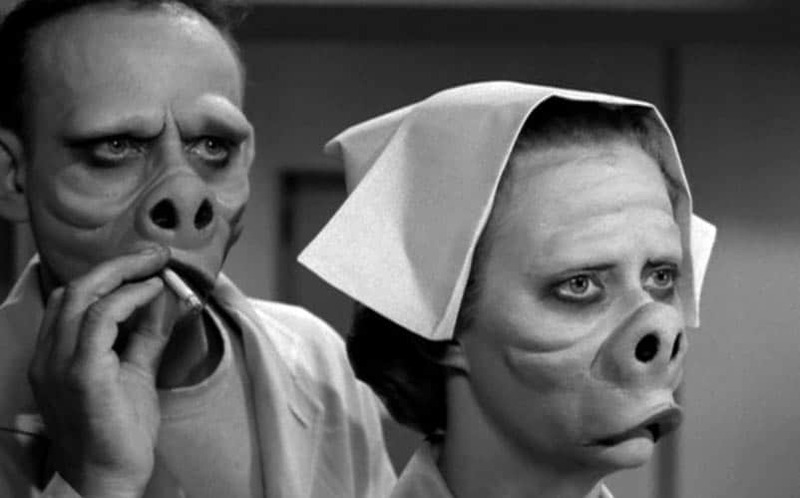 Rod Serling’s TV anthology delved into the depths of madness and the bizarre with superior social understanding and has since become an American icon because of it. The Twilight Zone was able to masterfully weave between creepy yarns about talking dolls and monsters on plane wings, to off-kilter stories of alternate dimensions and outer space, to scathing indictments of prejudice albeit with a supernatural twist. The show absolutely stands up today, both for its insight and outright eeriness, with only a few episodes unable to overcome Cold War-era themes. Still, in five seasons and 155 episodes, Serling created a masterpiece that sets the groundwork not just for scary stories, but for storytelling in general. Tales from the Crypt is the equivalent of a cup that never empties for horror fans. With names like Robert Zemeckis, Richard Donner and Joel Silver in the mix, HBO‘s anthology adaptation of the notorious EC comics was given free rein to make the show as grisly, gory and exciting as the source material. They may well have surpassed it. Hosted by the immortal ghoul The Crypt Keeper (a wondrous feat of puppeteering and voice work, by the way), each episode was a seedy or spine-tingling story full of A-list guest stars, terrific twists and boundary-pushing gore. Not to mention more horror puns than you could shake a severed arm at. 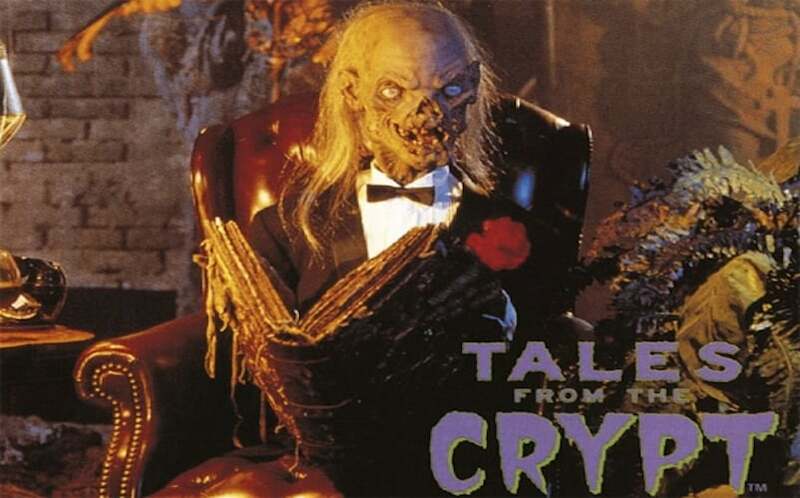 It was recently revealed that director M. Night Shayamalan will be making a new Tales from the Crypt series in the near future. I wish him the best of luck, as I would not want to be in the position of remaking something that was essentially perfect. Maybe it’s obvious to have The X-Files as an entry but that only means it has earned its place here. After all, Chris Carter’s supernatural procedural was a huge hit in the ’90s, spawning nine seasons, two films and a special event series (can we just call it season 10?). More than that, it was a show that was able to develop a long-running story arc, while also having fun with some serialized, monster-of-the-week episodes. Not bad for a genre that thrives on the anthology format. Mulder and Scully were compelling characters and the overall extraterrestrial conspiracy was enough to keep tuned in, but it was when things ventured into really strange, horrific territory that the show was on fire. 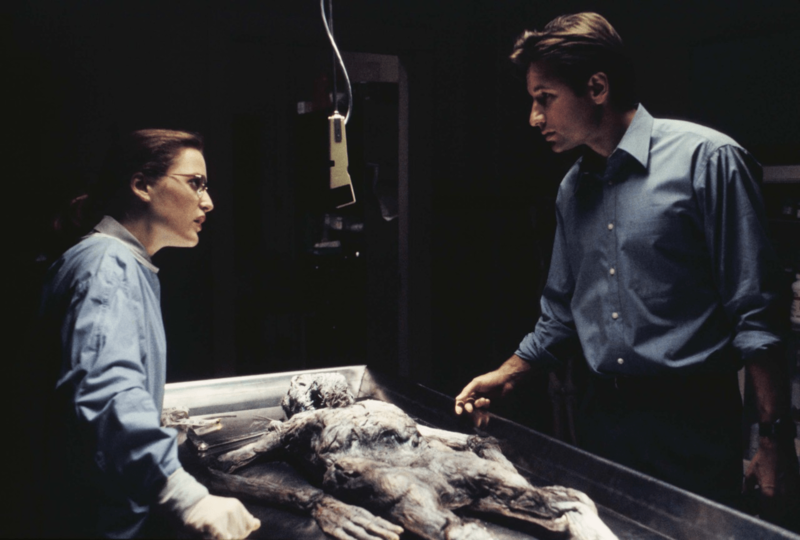 For anyone not already properly scarred, look up the X-Files episode “Home,” and be amazed. You’re welcome. Before there was The Blair Witch Project, there was Ghostwatch. This one is a bit of a cheat, as it’s technically classified as a TV movie, but its impact can’t be ignored. 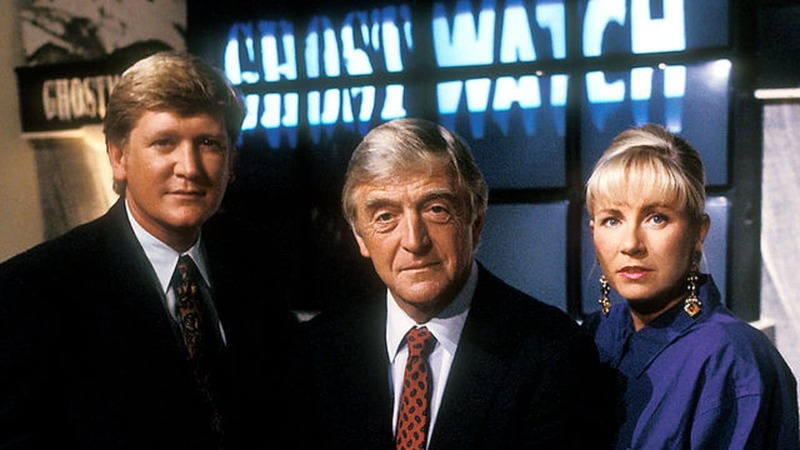 Airing on the BBC as a 1992 Halloween special, Ghostwatch was a fake documentary-style investigation into a purportedly haunted house in Greater London and its malevolent spirit, Mr. Pipes. What’s so special about this one? It was presented as a live broadcast. Despite being a scripted drama filmed in advance, Ghostwatch was convincing enough that nearly 30,000 people called into the station to see what was going on. The show’s gradual spiral into chaos and the blink-and-you’ll-miss-it appearances of Mr. Pipes were enough to cause a minor panic in viewers. In a way, Ghostwatch is TV’s equivalent of Orson Welles’ War of the Worlds radio broadcast — a feat we haven’t really seen replicated in TV since. To be fair, this spot could be occupied by a number of shows that deal in supposedly real-life supernatural happenings. Unsolved Mysteries, Haunted History, Patrick Macnee’s Ghost Stories, that one haunting show for your pets — they all dabble in the same thing, and some of them are quite good. But there is one that sells it best, and that’s Scariest Places on Earth. Airing on Fox Family/ABC Family from 2000 to 2002, Scariest Places on Earth visits some of the most downright frightful places known to humanity. Hosted by Exorcist star Linda Blair and narrated by Poltergeist‘s Zelda Rubinstein, Scariest Places on Earth was absolutely effective at getting under your skin. Using foreboding interviews, unpredictable editing, and unnerving sound design, the show can sometimes be overwhelming in how hard they push the danger of these places. Was it all likely a huge crock? Almost certainly. But whether it was Poveglia, Sloss Furnace, Greyfriars Cemetery, Metropolitan State Hospital or Bunnyman Bridge, Scariest Places always knew how to make you doubt. And maybe even check over your shoulder now and then. There are actually a few notable horror shows to come out in the past few years — American Horror Story, Penny Dreadful, The Strain, Scream and The Walking Dead if you’re feeling especially generous. To avoid beating around the bush, these shows just haven’t reached the heights set by Hannibal. It seemed like such an ill-advised idea at the beginning: why revisit the material that the film series so iconically touched on thanks to Anthony Hopkins’ performance as Hannibal Lecter? Then we found out that Bryan Fuller was about to deliver a completely surreal trip into madness unlike anything to hit basic television. Hannibal has so many things going for it. 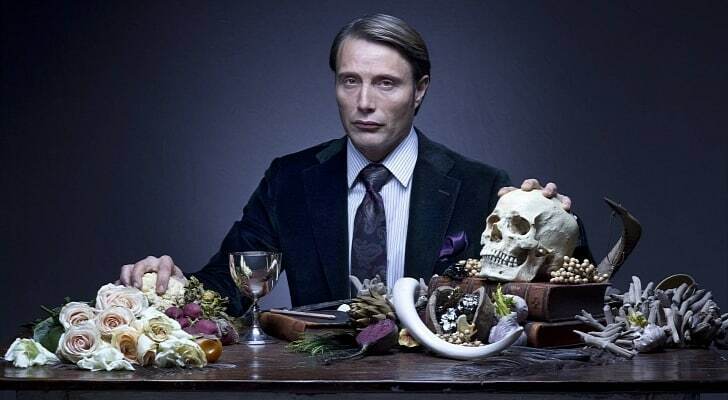 It has Casino Royale star Mads Mikkelson as a very different but no-less chilling Lecter. It has really high-concept explorations of psychological themes. It has points where it majorly twists reality and makes you wonder if what you’re seeing can be trusted. It has subtlety, in that it will be very choosy in the information it distributes to follow the story. But first and foremost, it has gorgeously rendered gore. It could be Eddie Izzard’s leg being made into a decadent roast or a man being mutilated into a human cello, it doesn’t matter — it all looked stunningly beautiful as it happened. The one thing the show didn’t have was an audience, spelling doom for it at the end of its third season. Luckily, that means it can live on as a sweet treat to be savored. Sorry, that phrasing was in bad taste. Schuyler is a Minnesotan millennial movie maestro who has been known to, on occasion, like a few things. You can find more of his film-related stuff at <a shoutsmamovies.com or tune into the Super Movie Studies podcast for multi-subject talk on superhero movies.